We’d love your help. 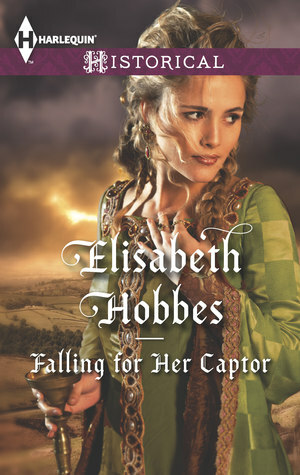 Let us know what’s wrong with this preview of Falling for Her Captor by Elisabeth Hobbes. Sir Hugh of Eardham has never seen anything q "Set me free. Say I escaped, or that you never found me." To ask other readers questions about Falling for Her Captor, please sign up. "Ignorando l’ordine di Sir Hugh, Aline non era salita sul carro. Era rimasta ad assistere inorridita all’attacco del lupo. Impietrito dalla paura, Jack era rimasto fermo a piagnucolare, ma poi il grido di dolore di Sir Hugh aveva spezzato lo stato di paralisi in cui i due uomini erano piombati. Mentre Jack brandiva il coltello usato per disossare senza avere il coraggio di usarlo, Aline aveva raccolto la balestra. Respirando lentamente per mantenere la calma, aveva preso la mira e scoccato la prima freccia. Con dita tremanti, ne aveva caricata un’altra e aveva teso la balestra, ma quel secondo colpo non si era reso necessario. La sua mira non l’aveva tradita, e ora la belva giaceva morta." La morte della sua famiglia ha portato Aline a diventare l’erede del nonno, il Signore delle Cinque Province, e ora Aline ha un unico compito, trovare un marito che governi con lei. Purtroppo, però, il tradimento ordito all’interno della sua corte favorisce il suo rapimento da parte di Sir Hugh, incaricato di portarla al cugino Stephen, Duca di Roxholm. Durante il viaggio, Hugh rimane affascinato da questa ragazza indomabile e pur non potendo sottrarsi al volere del cugino e a una promessa fatta allo zio molti anni prima, tenta di esserle amico e le dà consigli su come comportarsi con Stephen. Ma la ragazza non è disposta a sottomettersi e ben presto si ritrova in una cella, dopo aver rifiutato la proposta di matrimonio del Duca e avere assistito a uno dei suoi improvvisi e imprevedibili scoppi d’ira. Stephen odia Hugh e i loro rapporti subiranno drastici cambiamenti durante la prigionia di Aline. Il comportamento del cugino, infatti, finirà per ledere quella lealtà mal riposta che ha sempre impedito a Hugh di opporsi. Aline, però, non riesce più a fidarsi completamente e, una volta ritrovata la sua libertà, si appresta ad avere la sua vendetta. Aline, pur essendo una donna, è perfettamente cosciente del suo valore e anche durante il rapimento si dimostrerà piena di coraggio e di orgoglio. In un primo tempo non capisce come un uomo che sembra onorevole come Hugh possa essere agli ordini di un uomo come Stephen, un Duca che tutti, nel suo palazzo, temono per i suoi scatti e la sua crudeltà. Il poco tempo che riesce a passare con il cavaliere, tempo che suscita in Stephen una grande gelosia, la porta ad innamorarsi di Hugh, ma quando il giovane sembra abbandonarla nelle mani del cugino, e le impedisce di ucciderlo, si sente tradita. Non è disposta ad arrendersi, niente sembra farla demordere, e grazie alla sua grinta riesce a ritrovare la libertà, e, una volta al potere, si rivelerà in grado di gestirlo e di dimostrarsi estremamente dura versa coloro che l’hanno tradita. Hugh, dall’altra parte, è vincolato da un giuramento che gli impedisce di lasciare il servizio del Duca se non scacciato. Lo zio gli ha fatto promettere, prima di morire, di restare e mitigare il carattere imprevedibile del figlio e Hugh si sente troppo colpevole per non farlo. Pur se l’animo del cugino è sempre stato ombroso e tendente alla violenza, un episodio del passato che lo vede protagonista potrebbe, a detta dei medici, aver aggravato la sua situazione mentale. Anche Stephen, il cattivo di turno, risulta affascinante, molto somigliante al protagonista, dalle fattezze piacevoli, ha momenti di rabbia che lasciano poi il posto a tentativi di seduzione. Sa bene che Hugh gli è stato messo accanto per mitigare il suo carattere, e pur dandogli ascolto, lo odia profondamente. Una particolarità di questo romanzo è il tentativo, da parte dell’autrice, di dare una spiegazione alla cattiveria del personaggio, tirando in ballo una sorta di malattia, anche se non sembra giustificarlo. È uno storico davvero ben scritto quello che la Hobbes ci regala, due personaggi estremamente interessanti, dai caratteri forti e risoluti, una storia d’amore sofferta e che sembra non poter avere nessun lieto fine. Le scene passionali sono molto poche, ma c’è tantissima azione a riempire le pagine di questo libro, che non ha mai davvero un attimo di noia e che risulta una piacevole lettura. Having never read a Mills & Boon before this book was a revelation. I was gripped from the start. There are enough historical references to whisk you back in time to travel with the heroine on her enforced journey, falling for her captor along the way. Aline and Sir Hugh's characters are well developed and you find yourself sympathising with both as their romance evolves. This book ticks all the right boxes of a fantastic historical romance novel.Thoroughly recommended! I was lucky enough to read this in the early stages, when it was entered in the Harlequin So You Think You Can Write competition, and it stood out a mile then, so I was really pleased to see that it had been picked up and published. The finished book is obviously more polished, but it retains what made it stand out for me in the first place, a distinctive voice, and a fantastic sense of place and time (even if the 'place' is an imagined country!). Aline is the kind of heroine I love to read abou I was lucky enough to read this in the early stages, when it was entered in the Harlequin So You Think You Can Write competition, and it stood out a mile then, so I was really pleased to see that it had been picked up and published. The finished book is obviously more polished, but it retains what made it stand out for me in the first place, a distinctive voice, and a fantastic sense of place and time (even if the 'place' is an imagined country!). Aline is the kind of heroine I love to read about. She's not just feisty, she's got a mind of her own, and she's not the kind of girl to just sit back and let her fate be decided for her, not even in a world and time when that's all that's expected of her. She's not going to play the damsel in distress either - so when she's taken prisoner, right from the word go, she's determined to rescue herself. This is a story strong on period, so in that sense it's not pretty. There's dirt and cold and blood. There's a very hierarchical society with some ruthless men wielding power, and a lot of poor souls in servitude going hungry. There's pretty nasty reprisals for those who don't toe the line - including our hero and heroine, who risk A LOT to get their HEA - and who really deserve it when it comes. I won this book in Goodread's first reads giveaway. This book was very much a page turner for me,I am glad that I won it.I myself have a fondness dark-haired breaded heroes with blue eyes. I love both Aline's and Hugh's fighting spirit.My favorite part is when Aline tried to escaped through the woods and Hugh and her wrestled and he put her over his shoulders. I cant wait to read more from this author. I let my sister borrow to this to read and I would also recommend this book to anyone else who lik I won this book in Goodread's first reads giveaway. Get ready for a whirlwind romance! Full of adventure, sword fights, bravery and surprises this book is bound to be a page turner. I loved the characters and even the villain was well written. "Above the shouts and boos he heard his name: one female voice full of despair that chilled Hugh to the bone. The heiress to the Five Lands Lady Aline of Leavingham is kidnapped and delivered into the hands of the Duke Of Roxholm by his hated cousin, Sir Hugh of Eardham. "Falling For Her Captor" tells how Aline and Hugh overcome the odds to be together. One of the things I liked most about the book was also perhaps the thing that I liked least. What I mean by this is the setting. Because it was not set in a particular country or in a clearly-defined time period the book almost read more like a fantasy no The heiress to the Five Lands Lady Aline of Leavingham is kidnapped and delivered into the hands of the Duke Of Roxholm by his hated cousin, Sir Hugh of Eardham. "Falling For Her Captor" tells how Aline and Hugh overcome the odds to be together. One of the things I liked most about the book was also perhaps the thing that I liked least. What I mean by this is the setting. Because it was not set in a particular country or in a clearly-defined time period the book almost read more like a fantasy novel. Had this novel been written by less capable hands I would probably have just started a lengthy rant about this occuring in a supposedly "historical" novel. However, creating and developing a setting and location are some of the author's strengths. While it may not "be" real the story's background "feels" real. I would even go so far as to say that I don't know whether I want the author's next book to be set in a real medieval setting or in the world that she has created. The hero was pretty special. Also, I like the explanation given as to why Stephen, the Duke, was the way he was. It is so nice to read an explanation of why the villain was what he was and it certainly makes a change for this genre of novel. Overall, this was an incredibly romantic book and felt like some sort of Arthurian tale or folk story. This is a pretty impressive debut novel. I was so engrossed in it I read it in one sitting. I will be reading more books by this author. I honestly think she has the potential to become one of Mills and Boon's best writers. This really had its moments and kept a brisk plot but the "I love you / I'm angry go away" push-pull was heavily overworked and got tiresome around the 3/4 mark. The action got very repetitive as well-- similar push-pull-- so most of the emotional impact of the book came from his 'oh noes!' thoughts and her 'oh noes!' thoughts, even after they'd covered that ground, which caused me to skim. But the emotional impact was mostly good and spot on, so that aside there were good heart-swoopy moments t This really had its moments and kept a brisk plot but the "I love you / I'm angry go away" push-pull was heavily overworked and got tiresome around the 3/4 mark. The action got very repetitive as well-- similar push-pull-- so most of the emotional impact of the book came from his 'oh noes!' thoughts and her 'oh noes!' thoughts, even after they'd covered that ground, which caused me to skim. But the emotional impact was mostly good and spot on, so that aside there were good heart-swoopy moments to be had. I enjoyed the section with them on the go (her kidnapping). Maybe it was a case of needed word count too, because once they arrived at the castle, it could have had severalK cut out--or added a subplot to break it up--and still been the full story. I enjoyed both hero & heroine. The last historical romance I read was both years ago and years old, so I was braced for the more rapey, Masculine & ~mysterious type, and was pleasantly surprised at Hugh's nuance and softness (& altogether lack of rapey). He was a super lead. This didn't spare us being shown how bad the bad guy is though rapeyness + ladies being imperiled, but I suppose that's almost inescapable for genre stuff and especially historicals covering this sort of time period. This was a solid debut, but was definitely a second half read for me. Once the heroine saves the hero's life, and the villain comes on page - is when things start to heat up. Nice, creepy villain who managed to not be too-over-the-top for me. I also really enjoyed seeing a heroine in a position of power for a change - and her having to make tough decisions towards the end really elevated this read for me. I love historical romance, but by it's very nature we see a lot of books with skewered powe This was a solid debut, but was definitely a second half read for me. Once the heroine saves the hero's life, and the villain comes on page - is when things start to heat up. Nice, creepy villain who managed to not be too-over-the-top for me. I also really enjoyed seeing a heroine in a position of power for a change - and her having to make tough decisions towards the end really elevated this read for me. I love historical romance, but by it's very nature we see a lot of books with skewered power dynamics between hero and heroine. This book turns that idea on it's head a bit - and I thought it was well done. I would have liked to have seen a bit more history however. This story is medieval in "tone" more so than in "history." I never expect a dry, dull info-dump in historical romance, but Harlequin Historicals especially tend to feature a nice, seamless integration of the historical elements in with the romance. That said, this wasn't what I would call "wallpaper" - just not quite as meaty on the history elements as some of the other medieval writers working for Harlequin. Aline is a refreshing Romance heroine - a strong female character I could believe in. 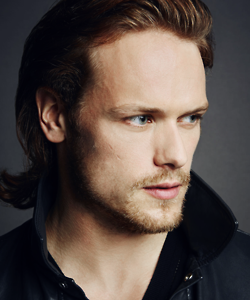 Sir Hugh also ticks all the boxes! The plot rips along, contains nice touches of humour and leaves you very much rooting for the central love affair. The attention to detail means that the world of Leavingham and Roxholm is very plausible. I LOVED this novel and would happily read more by this author. Loved this book! There's nothing quite like a good romance to pass an autumnal Saturday, and this had everything I wanted. Strong heroine, handsome man, big castle... *ahem* Really well written. Thoroughly entertaining novel. Une très bonne première partie pour cette romance du Moyen Age avec une héroïne qui va voler la vedette au final! This book started put with so much promise, but quickly went downhill. The hero, Sir Hugh, is not honorable even though the author claims he is over and over. Sounds like she is trying to convince herself rather than the reader. Turns out Hugh is also stupid. This doesn't help as the heroine, Lady Aline, is stupid and weak herself. Top that off with modern descriptions and sensibilities and a lack of romance and chemistry earned 2 stars from me. Overall, "Falling For Her Captor" was a fun, quick medieval read. I did not enjoy the constant back and forth conflict between the h and H - why make their relationship so complicated? The front cover heroine looks quite a bit like actress Rachel McAdams. Csillagot sem érdemel, borzalmas volt. Ez az első könyvem az írónőtől de egyben az utolsó is. I thoroughly enjoyed this debut novel by Elisabeth Hobbes. Aline is a fantastic heroine, gutsy and determined, I was rooting for her right from the start. Sir Hugh is the perfect match for her - bound by honour and tested to his limits! Fast paced and refreshingly gritty in places, I loved the historical attention to detail that really brought the story alive. Loads of emotional tension between the two of them keep you turning the pages and the ending is both heartfelt and satisfying. Highly reco I thoroughly enjoyed this debut novel by Elisabeth Hobbes. Aline is a fantastic heroine, gutsy and determined, I was rooting for her right from the start. Sir Hugh is the perfect match for her - bound by honour and tested to his limits! It took me a while to get around to reading this book as i'm not an avid Mills & Boon/ romance reader by any means. However, once i set myself the time to try it (as a friend of my daughter is the author & i felt i should give it my genuine attention) i was lost in the story of the characters & the ups and downs if the traumas and joys that unfold as it progresses. Well written, i really enjoyed it. I grew up in York where I spent most of my teenage years wandering around the city looking for a handsome Roman or Viking to sweep me off my feet. Sadly it never happened but I developed a love Author for Harlequin Historical.